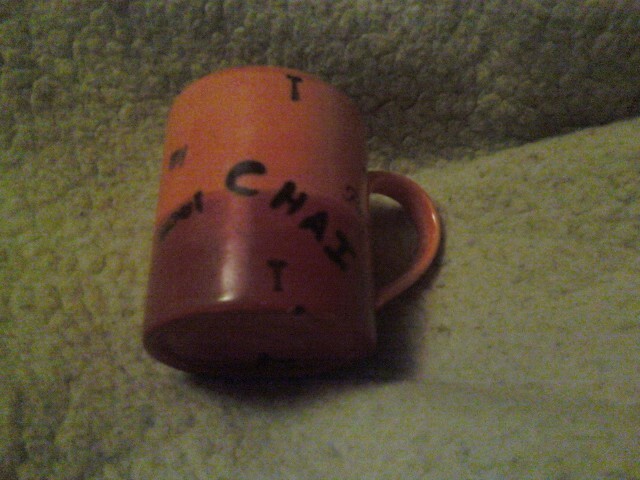 I painted this mug at one of those pottery stores that used to be around. It is graduated orange to brown with a red undertone. Chai tea was my inspiration for the theme.